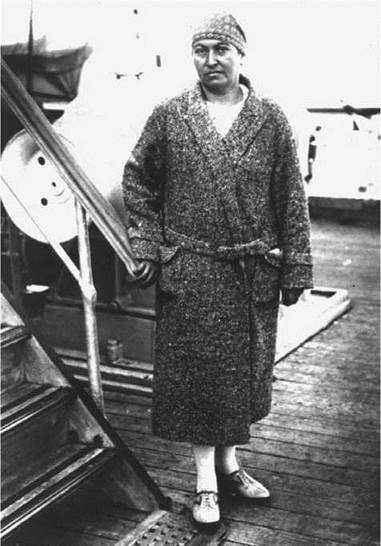 Gabriela Mistral. Mistral, Gabriela, photograph. AP images. Gabriela Mistral, pseudonym of Lucila Godoy Alcayaga, was the first Latin American author to receive the Nobel Prize in Literature; as such, she will always be seen as a representative figure in the cultural history of the continent. Mistral’s works deal with the basic passion of love as displayed in the various relationships of mother and child, man and woman, individual and humankind, soul and God. Raised in the Mountains of Chile. Lucila Godoy Alcayaga was born on April 7, 1889, in the small town of Vicunain the Andes mountains in Chile. She was raised by her mother and an older sister, both teachers. Her father abandoned his family when Lucila was three. Her mother was a central force in Mistral’s attachment to family and homeland and a strong influence on her desire to succeed. Not less influential was her highly religious paternal grandmother, who encouraged the young girl to learn and recite by heart passages from the Bible. Careers: Educator and Poet. At the age of fifteen, Mistral began a successful career as a teacher and administrator, which enabled her to travel throughout Chile. This direct knowledge of her country, its geography, and its peoples became the basis for her increasing interest in national values, which coincided with the intellectual and political concerns of Latin America as a whole. Mistral’s love poems in memory of the dead won her literary recognition. The suicide of her fiance in the early 1900s prompted Mistral to compose Sonnets on Death under the Mistral pseudonym. when she entered the poems in a writing contest in 1914, she earned first prize and instant fame. During her years as an educator and administrator in Chile, Mistral was actively pursuing a literary career, writing poetry and prose, and keeping in contact with other writers and intellectuals. She published mainly in newspapers, periodicals, anthologies, and educational publications, showing no interest in producing a book. Her name became widely familiar because several of her works were included in a primary-school reader that was used all over her country and throughout Latin America. In 1921 Mistral reached her highest position in the Chilean educational system when she was made principal of the newly created Liceo de Ninnas number 6 in Santiago, a prestigious appointment desired by many colleagues. Now she was in the capital, in the center of the national literary and cultural activity, ready to participate fully in the life of letters. A year later, however, she moved to Mexico to work on reorganizing the country’s rural education system and began her long life as a self-exiled expatriate. Desolation. In 1922, Mistral’s first book of poems, Desolation, was published in New York, at the insistence of a group of American teachers of Spanish. Most of the compositions in Desolation were written when Mistral was working in Chile and had previously appeared in various publications. As such, the book is an aggregate of poems rather than a collection conceived as an artistic unit. Divided into broad thematic sections, the book includes almost eighty poems grouped under five headings that represent the basic preoccupations in Mistral’s poetry, including motherhood, religion, nature, morality, love of children, and personal sorrow. This collection earned Mistral an international reputation. Tenderness. Mistral’s stay in Mexico came to an end in 1924 when her services were no longer needed. Before returning to Chile, she traveled in the United States and Europe, thus beginning her life of constant movement from one place to another. Her second book of poems focuses on the theme of childhood. Tenderness (1924) is a celebration of the joys of birth and motherhood. While Desolation reflects the pain of a lost love and an obsession with death, Tenderness is a work of renewed hope and understanding. Infused with a decidedly Christian feeling, its poems evoke the poet’s overriding desire to attain harmony and peace in her life. Reembracing Catholicism. Around 1925 Mistral returned to Chile and Catholicism. She entered the Franciscan Order as a laical member, not aiming to be a nun. As a member of the order, she chose to live in poverty, making religion a central element in her life. Religion for her was also fundamental to her understanding of her function as a poet. When Mistral left Chile again for Europe, she served as secretary of the Latin American section in the League of Nations in Paris, where she met many writers and artists. In 1933, she moved first to Puerto Rico and then to Madrid, Spain, where she worked as a diplomat, but was forced to resign her position three years later for openly criticizing the Spanish government. Felling. Fourteen years passed between Tenderness and Mistral’s next book, Felling (1938). Mistral includes poems inspired by the death of her mother, together with a variety of other compositions that do not linger in sadness but sing of the beauty of the world and deal with the hopes and dreams of the human heart. In solidarity with the Spanish Republic, she donated her author’s rights for the book to the Spanish children displaced and orphaned by the Spanish civil war. The Nobel Prize and Later Life. During World War II, Mistral took the general consular post in Rio de Janeiro, Brazil. She was still in Brazil in 1945 when she heard on the radio that she had been awarded the Nobel Prize in Literature. She traveled to Sweden to be at the ceremony only because the prize represented recognition of Latin American literature. In 1946, she moved to the United States, which remained her home for the rest of her life. Mistral’s final volume of poetry, Wine Press, was published in 1954. Mistral had suffered the loss of her nephew and close friends. In addition, she had developed diabetes. Despite her losses and illness, the tone of this last collection is one of acceptance of death, marking her growing freedom from bitterness. Several critics have implied that this collection—the culmination of her literary career—is both a refinement of her simple and skillful writing style and a testament to her strengthened faith and ultimate understanding of God. Late in 1956, Mistral was diagnosed with terminal pancreatic cancer. On January 10, 1957, Mistral died in a hospital in Hempstead, Long Island. After a funeral ceremony at St. Patrick’s Cathedral in New York City, the body of this pacifist woman was flown by military plane to Santiago, Chile, where she received the funeral honors of a national hero. Following her last will, her remains were eventually put to rest in a simple tomb in Monte Grande, the village of her childhood. Jose Maria Arguedas (1911-1969): A Peruvian novelist, poet, and anthropologist; Arguedas brought indigenous issues and culture to the forefront through his writing. Dorothy Day (1897-1980): This American journalist, social activist, and devout Catholic cofounded the Catholic Worker Movement, providing social services to those in need. Francisco Franco (1892-1975): Franco was dictator of Spain from 1936 until his death; he became ruler after a failed coup that led to the Spanish civil war. Benito Mussolini (1883-1945): Mussolini was the prime minister of Italy from 1922 to 1943. As leader of the National Fascist Party, he focused on nationalism at the expense of personal freedoms. Edna St. Vincent Millay (1892-1950): An American poet, Millay was the first woman to receive the Nobel Prize in Poetry in 1923; she is well known for her lyric poetry and sonnets. Gitanjali (1913), a poetry collection by Rabindranath Tagore. The poems in this collection deal with a union with the "supreme," phrased in human, physical terms; Tagore won the Nobel Prize in Literature in 1913, becoming the first Asian writer to do so. ''Pied Beauty'' (1918), a poem by Gerard Manley Hopkins. In this poem filled with assonance and alliteration, the poet praises God for all imperfect things. Songs of Life and Hope (2004), poetry by Ruben Dario. This bilingual edition collects many poems by this Nicaraguan poet on such topics as transcending suffering, Christianity, and a strong connection to nature. Walking to Martha's Vineyard (2003), poetry by Franz Wright. These poems examine life, renewal, and the narrator's relationship with both God and his own father. The Wild Iris (1992), poetry by Louise Gluck. The poems in this collection, awarded the Pulitzer Prize in Poetry, alternate between the voices of plants, and a dialogue with an unnamed god. Gabriela Mistral is known as a poet who wrote about the enjoyment in the beauty of nature, with its magnificent landscapes, simple elements—air, rock, water, fruits—and animals and plants. Her love of nature was deeply ingrained from childhood and permeated her work with unequivocal messages for the protection and care of the environment. Religious and Poetic Influences. For Mistral, the poetic word in its beauty and emotional intensity had the power to transform and transcend human spiritual weakness, bringing consolation to the soul in search of understanding. Her poetry is thus charged with a sense of ritual and prayer; poetry provides Mistral the strength of a religious, spiritual life dominated by a passionate love for all of creation. The spiritual character of her search for a transcendental joy unavailable in the world contrasts with her love for the materiality of everyday existence. Her poetic voice communicates these opposing forces in a style that combines musicality and harshness, spiritual inquietudes and concrete images, hope and despair, and simple, everyday language and sometimes unnaturally twisted constructions and archaic vocabulary. In her poetry dominates the emotional tension of the voice, the intensity of a monologue that might be a song or a prayer, a story or a musing. Mistral’s writings are highly emotional and impress the reader with an original style. Rhythm, rhyme, metaphors, symbols, vocabulary, and themes, as well as other traditional poetic techniques, are all directed in her poetry toward the expression of deeply felt emotions and conflicting forces in opposition. Love and jealousy, hope and fear, pleasure and pain, life and death, dream and truth, ideal and reality, matter and spirit are always competing. Almost half a century after her death, Gabriela Mistral continues to attract the attention of readers and critics alike, particularly in her country of origin. Her poetic work maintains its originality and effectiveness in communicating a personal worldview. Gabriela Mistral is a strange figure among the chattering Latin-American poets... in her we have the concentrated force of that humble, strong, enduring creature, the Spanish and Indian woman of the middle class and of the peasantry, the type that teaches, labors, suffers, prays, without audible protest or question. She has given speech to the accumulated sorrows of these inarticulate women. She asks their questions for them, she shouts their protests through a throat strained with the immensity of her utterance. Her Americanism, in its richest and warmest sense, is patent here, not only in the section properly called ‘America,’ but in all those poems which sing, in one form or another, of its landscapes, its places, its flora, its fauna, its people, its heritage, its destiny.... There is an attempt—an ideal—to disregard and efface national boundaries and to fuse all into that ‘heart-shaped’ beautiful land (land of the Incas and of the Mayas, of the Quiches, the Quechuans and Aymarans) which is her America; an ardent wish to see those ‘downtrodden racemes of sacred vine’—which are the Indians of old—restored to their pristine destiny. 1. Gabriela Mistral chose to write under a pen name because she was well known professionally for her work in education. Why do you think Mistral might have decided to separate her professional self as a poet from her professional self as an educator? 2. Choose several of Mistral’s poems that deal with the theme of nature and conservation. Write two or three paragraphs discussing how these poems are relevant today. 3. Chile’s history during the twentieth century has been turbulent. Using the Internet and your library’s resources, research its history during the period that Mistral chose to live abroad. Create a timeline outlining the major political events, and discuss as class why Mistral may have decided to live outside of her country. 4. One of the things that Mistral struggled with in her poetry was reconciling personal fulfillment with the will of God. Do you think humans have free will, or do you think our future is determined in advance? Explain your position in a small group. 5. Motherhood is a common theme in Mistral’s poetry. Read ‘‘Fear’’ and discuss the conflict presented in the poem. What is Mistral’s message about motherhood in this poem? Fiol-Matta, Licia. A Queer Mother for the Nation: The State and Gabriela Mistral. Minneapolis: University of Minnesota Press, 2002. Rosenbaum, Sidonia Carmen. ‘‘Gabriela Mistral.’’ In Modern Women Poets of Spanish America: The Precursors, Delmira Agustini, Gabriela Mistral, Alfonsina Storni, Juana de Ibarbourou. New York: Hispanic Institute in the United States, 1945. Taylor, Martin C. Gabriela Mistral’s Religious Sensibility. Berkeley: University of California Press, 1968. Fergusson, Erna. ‘‘Gabriel Mistral.’’ Inter-American Monthly 1 (August 1942): 26-27. Furness, Edna Lue. ‘‘Gabriel Mistral: Professor, Poet, Philosopher, and Philanthropist.’’ Arizona Quarterly 13 (Spring 1957): 118-23. Gazarian Gautier, Marie-Lise. ‘‘Gabriel Mistral Remembered.’’ Review: Latin American Literature and Arts 41 (1989): 22-25. Porter, Katherine Anne. ‘‘Latin America’s Mystic Poet.’’ The Literary Digest International Book Review 4: 5 (April 1926): 307-308.